This booster seat has 3 heights, very handy for everyday use. DIMENSIONS (lxwxh): 38x36x48.5cm (folded height: 21cm). A clever progressive booster seat with height adjustable legs (can be raised 4 or 8cm) that are ideal for growing children. Wide spread, fully retractable feet for optimal stability. Can be used flat on most chairs. Equipped with a removable safety belt. Compact and portable, it folds up to fit easily in a car. Suitable from 18 months and up to 15 kg. 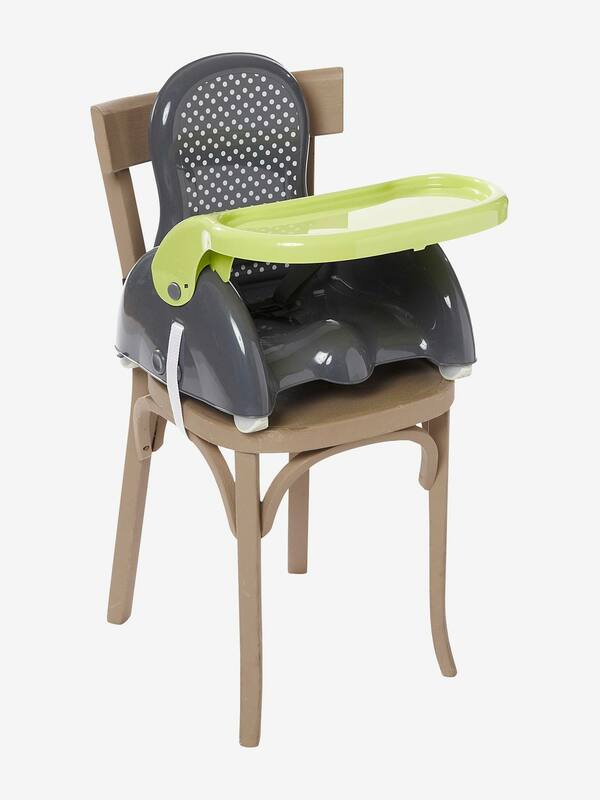 Complies with the EN16120 safety standard , this item is meant for children who are able to remains seated by themselves, up to 3 years or max. 15 kg. Easy to assemble with no screws necessary.